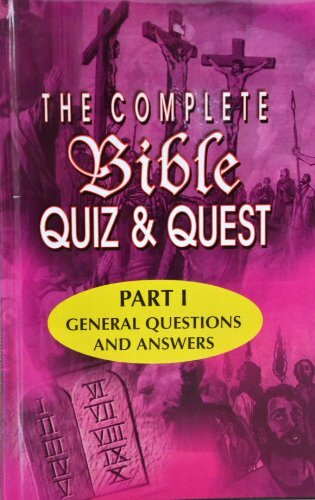 "Covering Genesis to Revelation, this volume is packed with many charts that overview each book, tables that focus on key Bible information and timelines that place events in perspective...." "The complete Bible Quiz & Quest has accomplished a big task. Here is one volume that should be placed in the hands of every serious Christian layman, Preachers & Pastors." "Offers quick references to a wealth of useful, brief, to the point material." "Enables every English reader to unearth the rich treasures of God's Word, by the simple method of Questions & Answers, Charts, Fill in the Blanks, True or False, etc."